Located in the heart of Cape Porpoise, we create memories through fresh, local food & the best espresso in town. Join us for Breakfast, Brunch or Dinner Year round just outside the bustle of Kennebunkport. We create experiences, our private chefs bringing the flavors of Maine to your home kitchen or next event. Musette Mobile now available for hire! Our attention to detail & focus on great service makes Musette an ideal location for Private events. May 30th: Summer Kick Off Party! "Haddock chowders with grilled cheese (it's almost a sin to call it grilled cheese) and a haddock sandwich. Absolutely loved it! The menu is great and the prices are very reasonable. The service was wonderful and exactly what you would expect if you've dined in that historic building before. So glad to have Musette in the beautiful village of Cape Porpoise." "Bravo Musette! It's a little restaurant with a big personality & I love it. I've been going for years and it just keeps getting better. We went for Mother's Day and it was spot on delicious and the service was top notch. Julia was our server and she was amazing & fun. The service can make or break a dining experience and she made it a great experience. Thanks Julia! We welcome Musette and crew with open arms to Cape Porpoise!" "Had a great lunch with the family at Musette today. 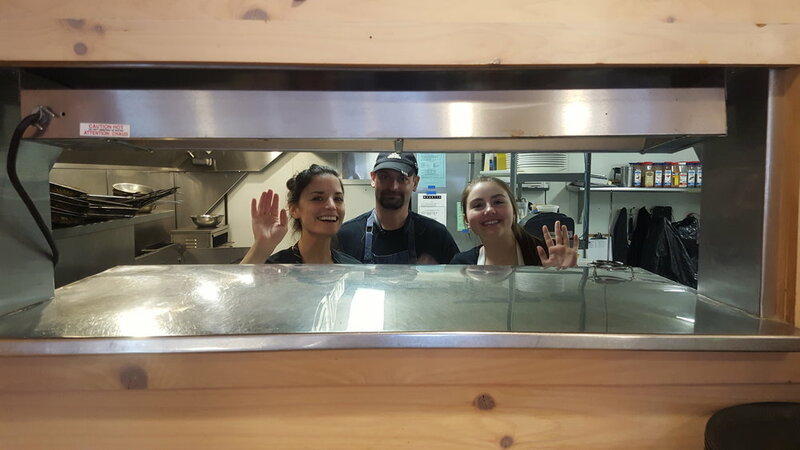 The haddock sandwich was so delicious, the curry chicken salad was fabulous, and the fish and chips were as great as we remembered Chef Jonathan Cartwright's from all of his amazing years at "the barn." Ready for dinner to start and to get there early enough to get in for breakfast. Welcome back Chef!"